Burn iMovie to DVD/ISO/DVD Folder/Blu-ray DVD Easily. iMovie is a video editing application by Apple for Mac and iOS devices. The software is now available for free on all Mac computers. In addition to local files, media files can also be added from camcorders and cameras. This professional editing tool allows the user to edit the videos and photos by adding music, effects, titles, and themes. A number of video enhancement tools are also available. Once videos are edited using iMovie, you can move them to a computer or upload directly to YouTube, MobileMe Gallery, and other sites. Another way to keep your edited files secured and also enjoy them on your TV is through iMovie DVD burning. 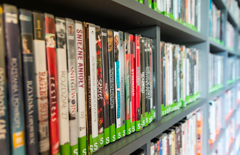 In the following part of the article, we deal with all queries on how to burn iMovie to DVD. Developed by Apple Inc, iDVD is an app for Mac OS X that helps to create DVDs. Initially, the app was made available for the Mac system having SuperDrive and came in all Mac system, till the year 2011 Later with Mac OS X 10.7 Lion, the app no longer came preinstalled and was not made available on the App store along with other iLife apps. Thus, the latest Mac system does not have iDVD software. 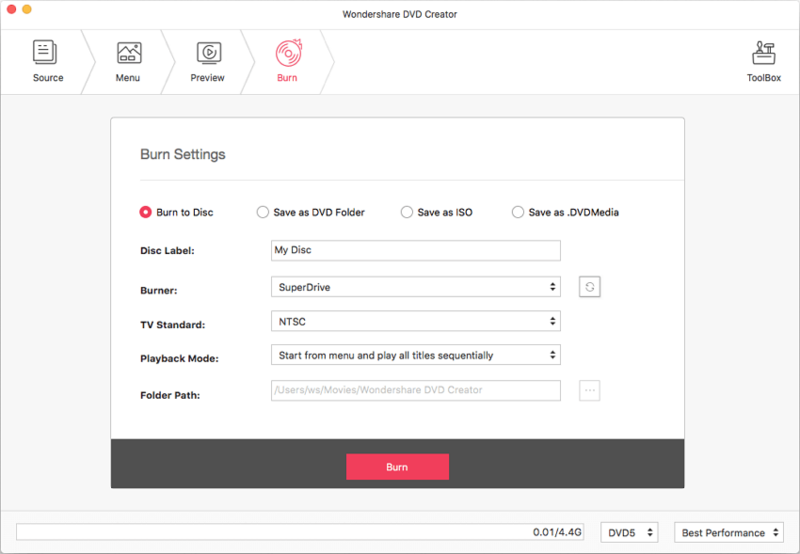 Using iDVD, you could burn your QuickTime videos, photos, as well as music files to a DVD disc. The app had more than 100 themes designed by Apple for DVD menu and submenus that facilitated easy disc creation. With iMovie projects, there was an option to automatically create scene selection menus as per the chapter markers in the iMovie. Additional features included Media panel, map view, One step DVD function, and others. Step 1: Once the iMovie project is completed, share the same to the theatre and then save it in iMovie Folder as a file. Step 2: Open iDVD and click Create a New Project from the main program interface. Go to File menu and select Magic iDVD option for adding files present in iMovie folder. Step 3: hit the Movies tab, select the completed project and drag the iMovie project to “drop movies here” area. Next, export iMovie to DVD. Step 4: Finally, to export iMovie to DVD, click the Burn button. Are you looking for professional software that overcomes iDVD limitations? 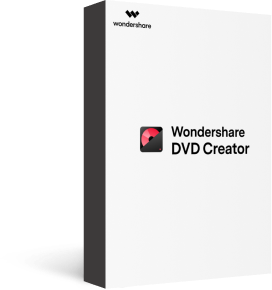 Wondershare DVD Creator for Mac is the answer. This expert program converts your iMovie files to DVD in high quality and with additional features to make your disc look professional. 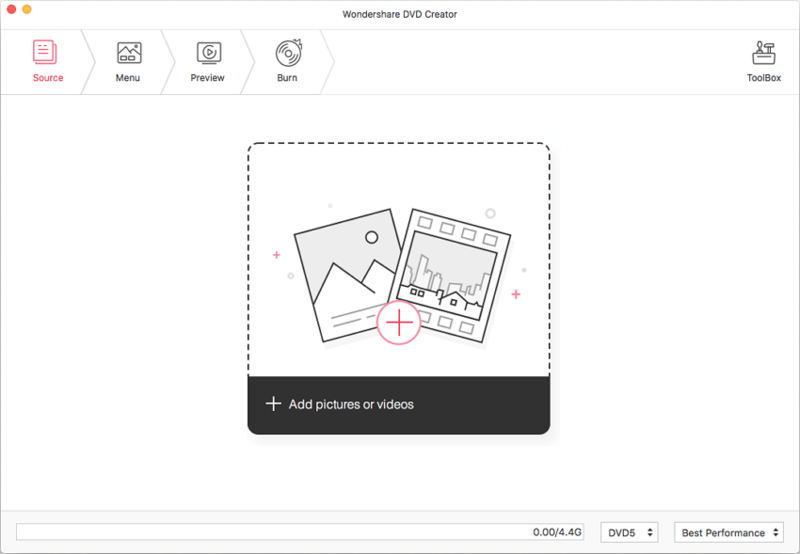 Compatible with Mac OS X 10.6 and later versions, Wondershare DVD Creator supports all types of video and image formats including MPG, MPEG, MOV, MP4, FLV, and others. It can create slideshows, add special effects, get your files watermarked, rotate them, and let your dear ones appraise your creativity.
. Burn iMovie as well as other files in any format to DVD disc, DVD Folder, ISO files or .DVDMedia files. · Additional toolbox help to create photo slideshow, edit video, copy DVD, convert DVD to video, one-click to burn DVD, etc. · Customize DVD templates with options to change background music or image, add text, create chapters, and more. · Almost 100 free DVD menu template designs from Movie, Family life to Sport theme are provided. 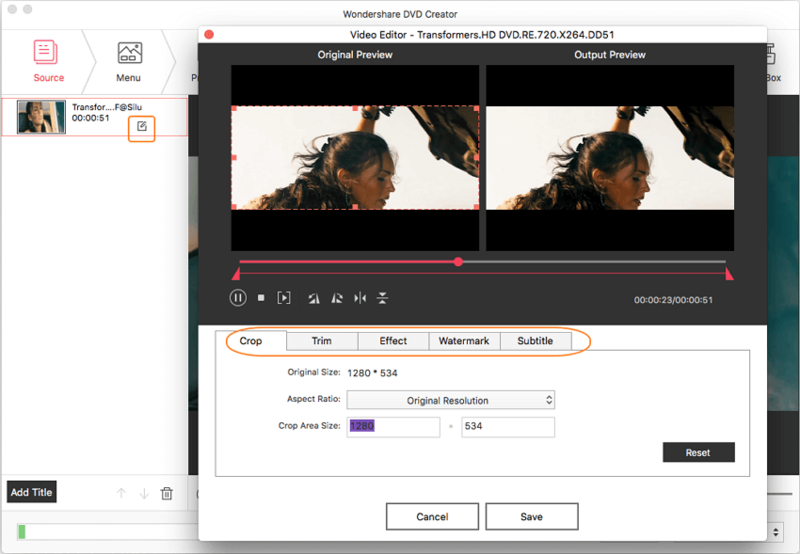 · Built-in video editor to crop/trim/rotate videos, add subtitle/watermarks, apply effects, and others. · Real-time preview and burning iMovie to DVD with super fast speed and high-quality output. 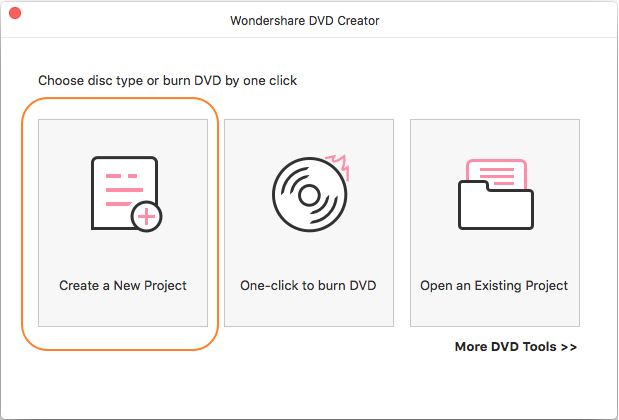 Step 1 Launch Wondershare iMovie to DVD creator and select new project. Open Wondershare DVD Creator for Mac on your computer. Select the option Create a New Project. Step 2 Import and edit iMovie files. Click the + sign that will open the file browser. Select desired iMovie or other videos as you need. Drag and drop function also works here. All added files will be displayed as thumbnail at the left panel. To edit the added videos, click the pencil-like icon on the thumbnail and the Video Editor window will open. 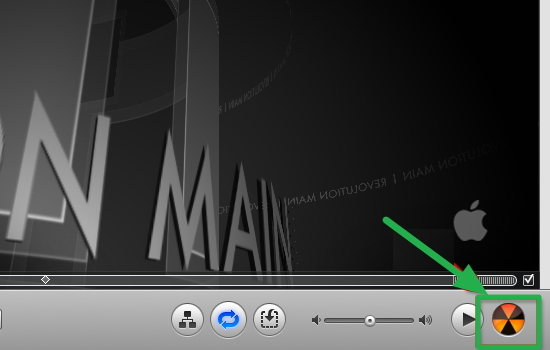 You can make changes on your iMovie files such as crop, trim, rotate, add watermarks, apply effects, and others. Step 3 iMovie DVD menu selection and customization. Click the Menu tab. Select a DVD menu template that matches your theme best from the provided design list on the right panel. To customize the template, hit related icons on the interface and you will get a window to change background image or music, add text, or other settings. Step 4 Preview and burn iMovie to DVD. To preview the created disc, click the Preview tab. Feel free to back to previous steps for adjustment if anything you're not satisfied. Next, insert a blank disc, and hit the Burn tab. Select Burn to Disc option and finish the Burn Settings it shows. Finally, click the Burn button to start with iMovie DVD burn process. So whenever you get caught in a situation on how to put iMovie on DVD, follow the steps above. 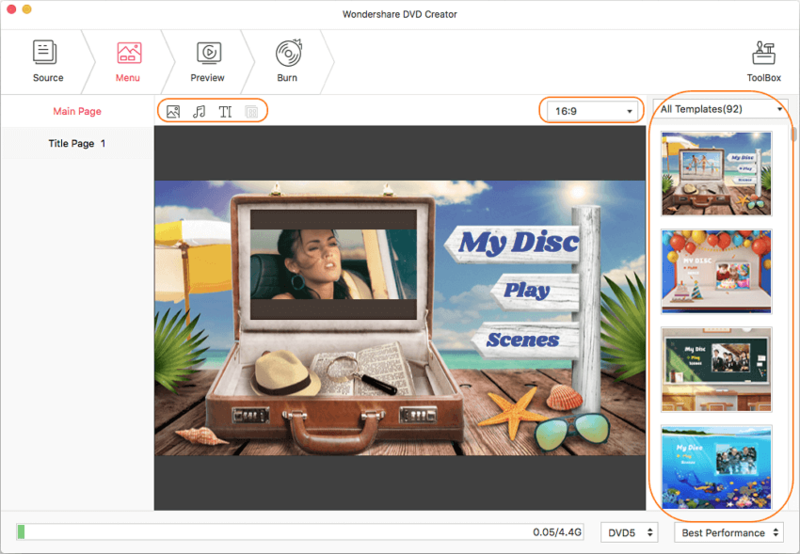 Make DVD from iMovie effortlessly and in high quality using Wondershare DVD Creator for Mac.